Elkagorasa the Casual: Hmm, Orc Female with Personality?? Hmm, Orc Female with Personality?? 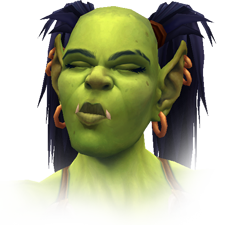 I could really see myself dusting off my old female orc rogue with the new character model changes coming in WoD. The new models are looking quite interesting. I love the level of detail that they will be getting. It's been way too long. Of the models released so far (or still to come), what are you most excited about?